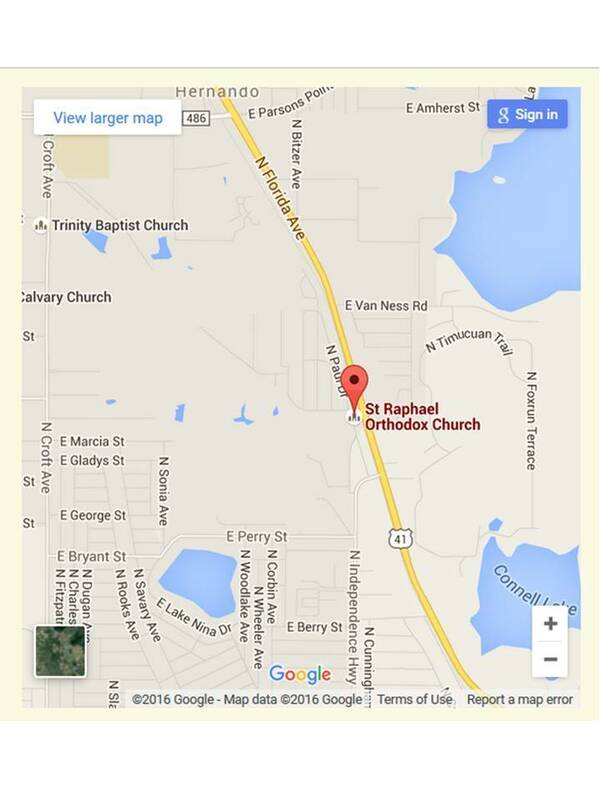 Insert your address above to get door-to-door directions to St Raphael's Orthodox Church. Turn left at first street onto N. Paul Drive. We wish to thank St George Episcopal Church for allowing us to use their beautiful church for our Vesper Services - a true Christian fellowship in action. 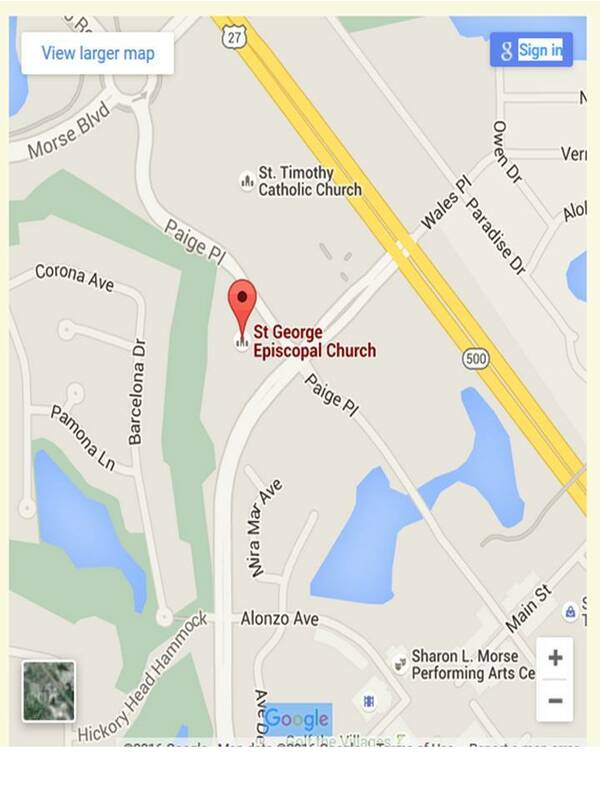 St George is located in The Villages FL at the intersection of Paige Place and Avenida Central to the west of the Spanish Springs downtown area. It is behind the Comfort Inn / Chilis and diagonally across from St Timothy Catholic Church. It is opposite Hacienda Center on Avenida Central. next gate. Exit immediately to the right on Paige Place. St George is on the right ahead. East on CR 466 to Morse Blvd gate and follow to circle past the next gate. Exit immediately to the right on Paige Place. St George is on the right ahead. US 27 north to Avenida Central (just past the golf cart bridge), Turn left. 1st traffic light at intersection of Paige Place and Avenida Central. Church can be entered from either street.